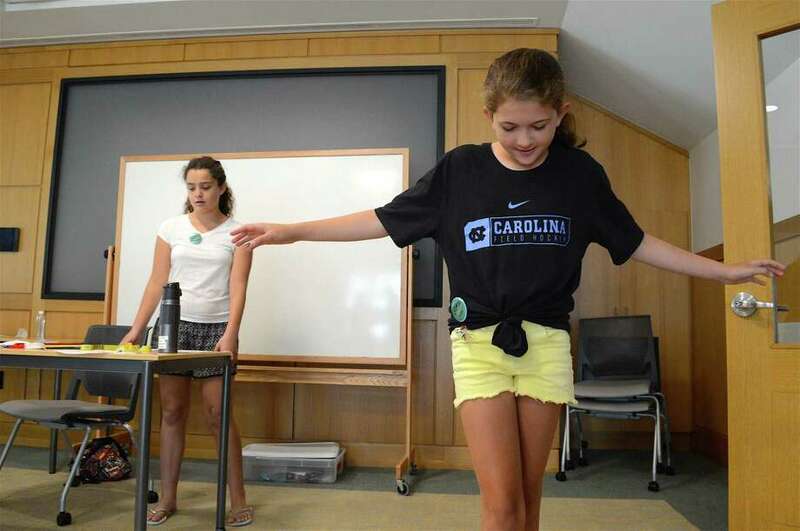 Abby O'Kane, 10, of Darien, walks off a distance of measurement at the STEAM Camp run this week by Darien Library, on Friday, July 28, 2017, in Darien, Conn.
DARIEN — A golden opportunity for free fun summer learning was given by the Darien Library this week with S.T.E.A.M. Camp. With a teaching topic for each day of the weeklong program, to which kids were admitted through a lottery, visiting instructors and children’s librarians gave learners a more interesting time in a different kind of classroom. “It’s making science and math fun for them,” she said.